John Crawford is one of the seven new managers hired this year. He transferred here from Maryland for the position at ASK. The ASK Academy is known for its superb Project Managers. Throughout the years, managers have come and gone; some for the better, some for the worse. This year, the academy received seven new managers who say they are here to stay. At ASK, they seek the best of the best. Assistant General Manager Daniel Barbour said that for every one manager that is hired, 10 applied for the same position. Emily Romero, Michelle Montoya, Sarah Woodford, Esther DeSoto, Cheryl Kerby, Amie Fulton, and John Crawford were all inducted into the ASK Academy’s team of Project Managers this year. While the story of how these managers got here differs greatly from manager to manager, they all have the same positive motives, exemplified through their teaching. Kerby, along with Woodford and many other managers, came to ASK after having worked with some of the veteran managers at other schools. Others came because of the culture and name. DeSoto said she knew the ASK Academy by its reputation of excellence and wanted to be a part of it. 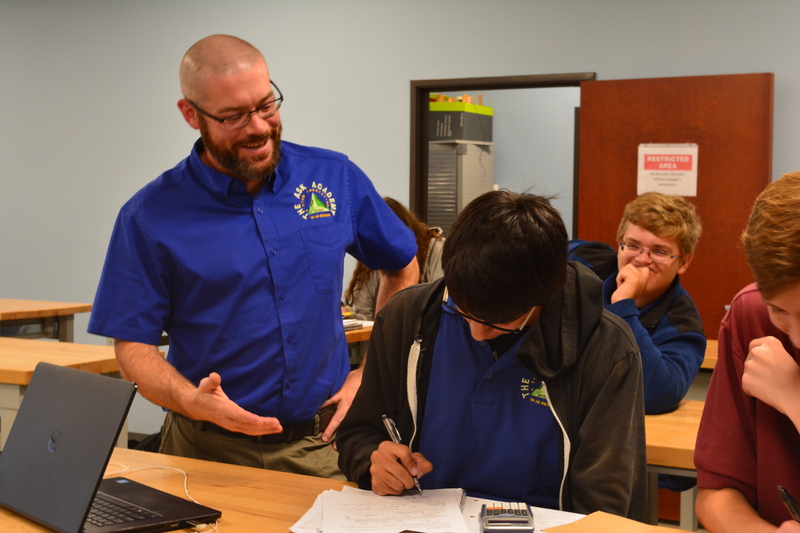 “I ultimately chose to come to ASK because my teaching philosophy directly aligned with the ASK philosophy,” said Crawford, a high school engineering Project Manager, told The Catalyst. He moved across the country for the position at ASK. What exactly is the ASK philosophy and how does it set the Academy apart from other schools? “I think the biggest difference is the atmosphere. Just the feeling here, the whole idea of respect really carries through,” DeSoto said. All seven of the new Project Managers voiced their admiration of ASK’s atmosphere and feeling of community. On a scholarly level, managers said that drive and dedication are truly embodied by the scholars of ASK. “The scholars here seem to be genuinely inquisitive and curious. I like the way they actively engage in problem solving and in creating a learning culture,” Woodford said. It was wholly expressed by each new project manager that they intend to continue teaching at the Academy. For some, a job at ASK until retirement is hoped for. Still, new Project Managers believe that improvements could be made. Montoya would love to see a transportation system in place at ASK. “My guess is a couple of buses are probably already on The ASK Academy’s long term wish list,” she said. Managers would like to see the long-term ASK Academy goals be addressed later in the future, such as getting a gym and buses to transport scholars to and from school. Despite these, no major on-campus issues have impacted managers so greatly that they would want to leave the academy. “My only complaint is the noise in the halls before school and at lunch, but I can easily live with that for all the great things I’m gaining,” Kerby said.